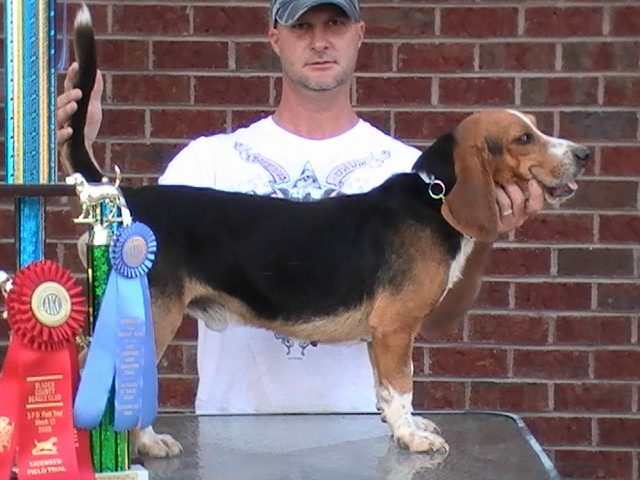 SAND RIDGE BEAGLES is a small Kennel here in Eastern North Carolina that raises great quality hunting and AKC SPO trial beagles. I always take pride in selling good quality hunting dogs and always feel that everyone should be satisfied when buying a new dog. I like a trash free, line running dog that powers out of a check like he is on fire.